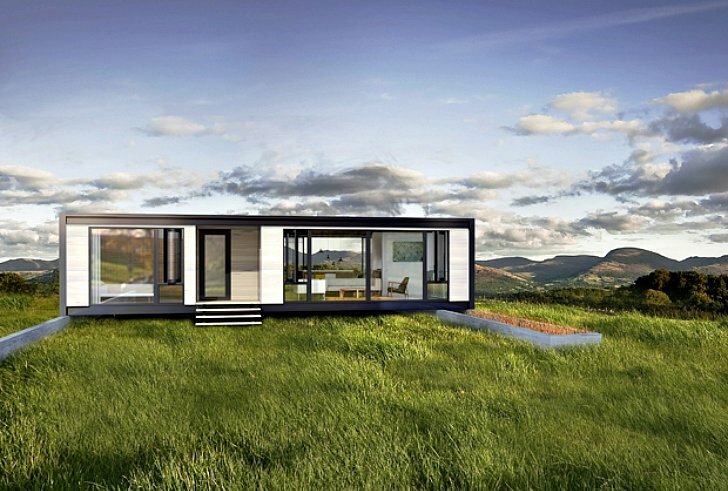 Connect: Homes 2.0 Is a Contemporary Customizable and Sustainable Prefabricated Home! 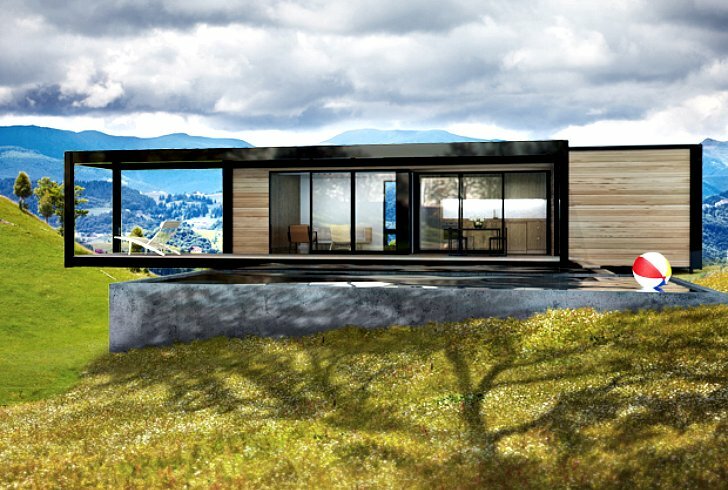 | "Global Possibilities"
Home » Sustainablity » Connect: Homes 2.0 Is a Contemporary Customizable and Sustainable Prefabricated Home! Connect: Homes 2.0 Is a Contemporary Customizable and Sustainable Prefabricated Home! 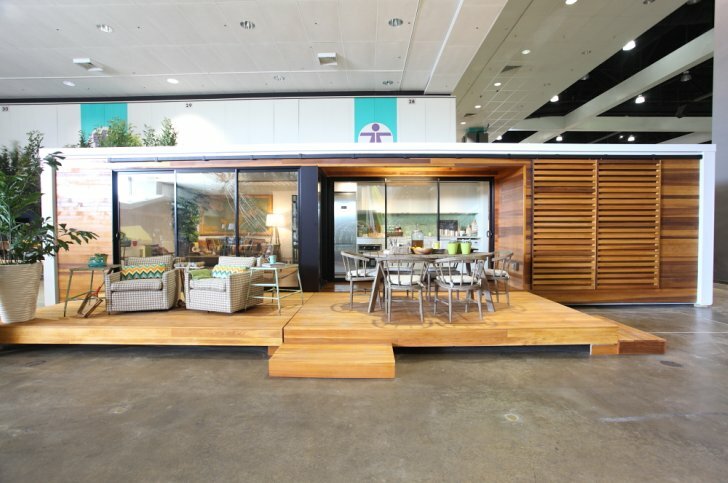 Connect:Homes seeks to transform contemporary prefabricated homes, viagra and based on how the company’s debut at Dwell on Design went last weekend in Los Angeles, see the company is sure on its way with the fantastic Connect 2.0. The company’s founders chose DOD to launch their company, and so far they have impressed us with this responsibly built and customizable home that could work as a studio, guest house, or even a vacation home. In a globalized, industrialized economy, housing is arguably the last remaining industry that is still completely localized. But Connect:Homes products can be shipped around the world. The 640 square foot home packs in a bevy of green building features. Starting on the exterior, a rainwater capturing system harvests rainwater from the roof for landscape irrigation. That same roof has a solar reflex index (SRI) of 107 and reflects 90 percent of the light that shines on it. The composite material comprising the roof is 100 percent recyclable and was attached to the home with a no-VOC (volatile organic compounds) adhesive. One huge challenge many prefabricated house manufacturers face are the permitting requirements that send the shipping costs of their homes to astronomical levels. The Connect 2.0’s assembly also does not require a 200 to 400 ton crane for install. The base price of the home for now is $105,000. According to Connect:Homes co-founder Gordon Stott, the most important difference their prefabricated houses offer is the ease of shipping. The Connect 2.0’s design allows for it to be tucked into a standard shipping container and be sent anywhere in the world at a low cost. The Connect 2.0 also scores plenty of natural light. 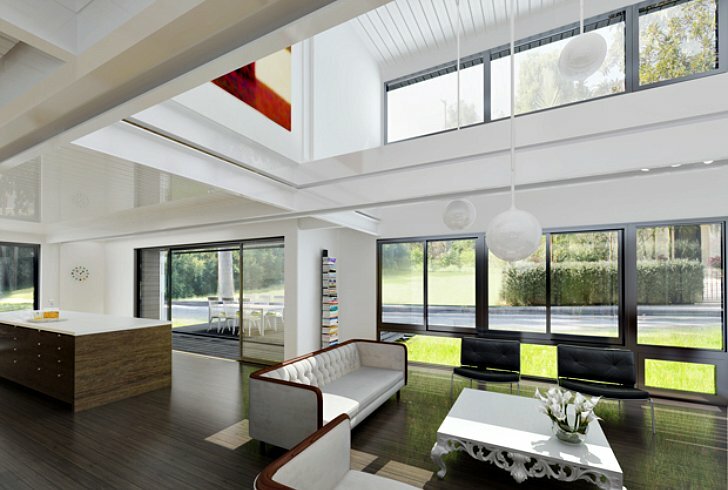 Dual glazed windows allow sunlight to filter in, but keeps out the heat. 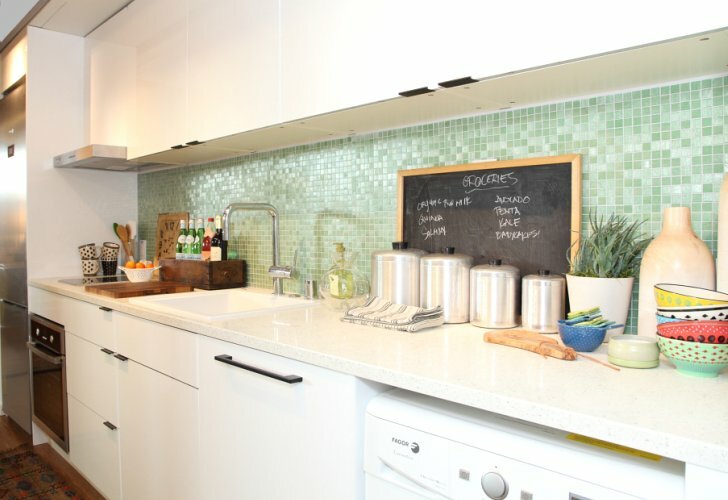 Recycled glass also plays a big part in the house’s content: glass tiles made from 80 percent post consumer glass are in the kitchen while countertops in the bathrooms are molded from a similar material. Recycled glass also plays a big part in the house’s content: glass tiles made from 80 percent post consumer glass are in the kitchen while countertops in the bathrooms are molded from a similar material. Water saving features add to the house’s efficiency. Low-flow faucets reduce water waste and the dishwasher only uses 3.8 gallons per cycle compared to the seven to 10 gallons that conventional appliances use. The washing machine uses less than six gallons a load. Dual flush and low flow toilets reduce water consumption by 40 percent. Water saving features add to the house’s efficiency. Low flow faucets reduce water waste and the dishwasher only uses 3.8 gallons per cycle compared to the seven to 10 gallons that conventional appliances use. The interior’s soft colors are in part the result of the sustainable materials used on the floors and walls. Forest Stewardship Council (FSC) certified bamboo flooring is used on the inside, while the outdoor deck is built out of FSC-sourced cedar. All the primers and paints are non-VOC. That same roof has a solar reflex index (SRI) of 107 and reflects 90 percent of the light that shines on it. The composite material comprising the roof is 100 percent recyclable and was attached to the home with a no-VOC (volatile organic compounds) adhesive. According to Connect:Homes co-founder Gordon Stott, the most important difference their prefabricated houses offer is the ease of shipping. The Connect 2.0’s design allows for it to be tucked into a standard shipping container and be sent anywhere in the world at a low cost. One huge challenge many prefabricated house manufacturers face are the permitting requirements that send the shipping costs of their homes to astronomical levels. The Connect 2.0’s assembly also does not require a 200 to 400 ton crane for installation. The base price of the home, for now, is $105,000. 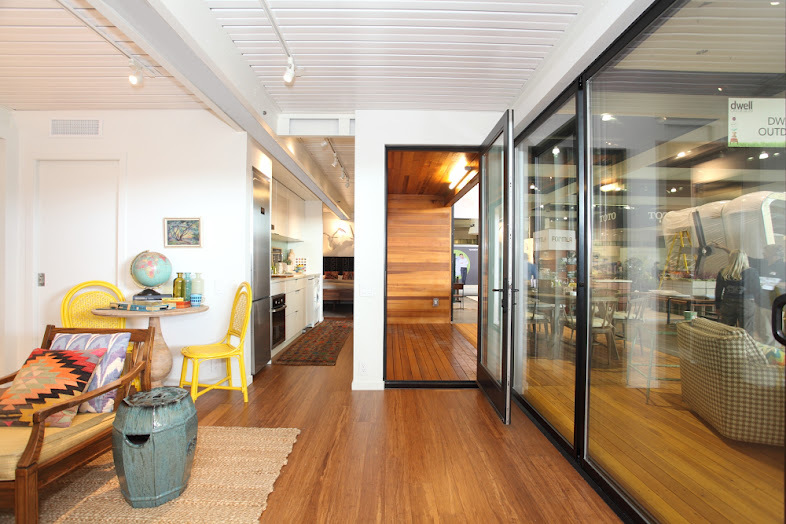 The 640 square foot home packs in a bevy of green building features. Starting on the exterior, a rain water capturing system harvests rain water from the roof for landscape irrigation.